By definition, Summaries offer readers a way to invest a relatively small amount of time to acquire the essence of a book. In my opinion, too many book summary producers are too quick to conceive and publish, leading to summaries that are small empty boxes of inconsequence - except for milky way! 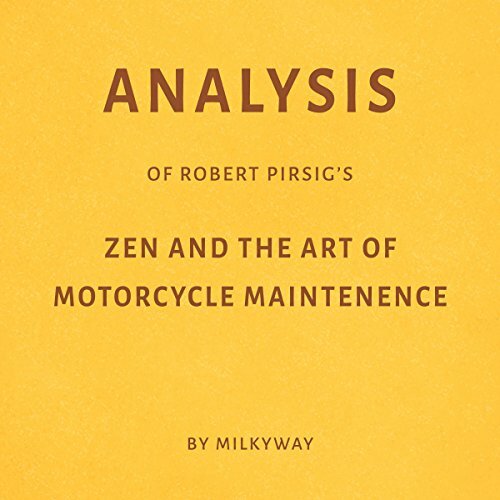 Having several times listened to and enjoyed Milky way’s summary of The Art of Motorcycle Maintenance (AMM) i also see Milky Way (MW) produce a range of other book summaries. If they are as good as their AMM, i shall have hours of enjoyable listening ahead of me! My experience of summaries is small, and in my opinion, AMM by MW is an outstanding summary comprising insights and analysis from a large range of perspectives. For instance, historical context and the author’s personal experience are considered in detail and offer the listener additional gems and insights into the author’s formulation and conclusions. In conclusion, this book summary is a diamond compared to other summaries which are often simply small boxes! MW have produced a summary which i believe is a valuable investment of time and money and great accompaniament to the original book- which i shall now read again. I intend listening to other MW products. CM Morrison, London.